Morble is a fantastic match three puzzle game with a touch of magic. 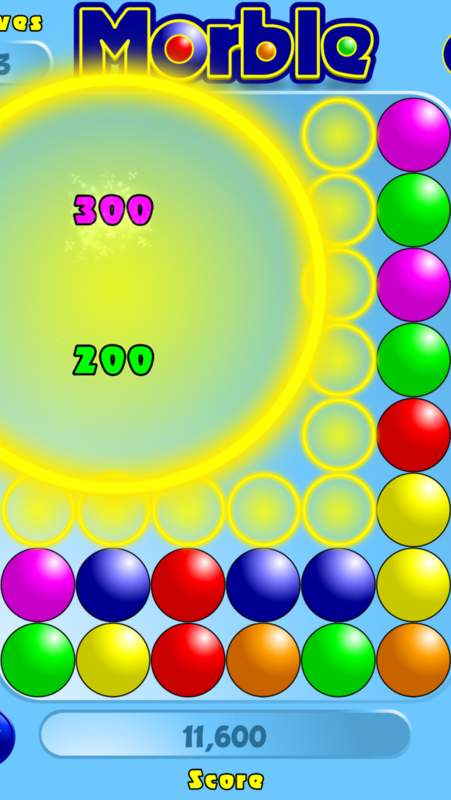 Tap the orbs around like a sliding puzzle. Create a chain from multiple orbs of the same color. 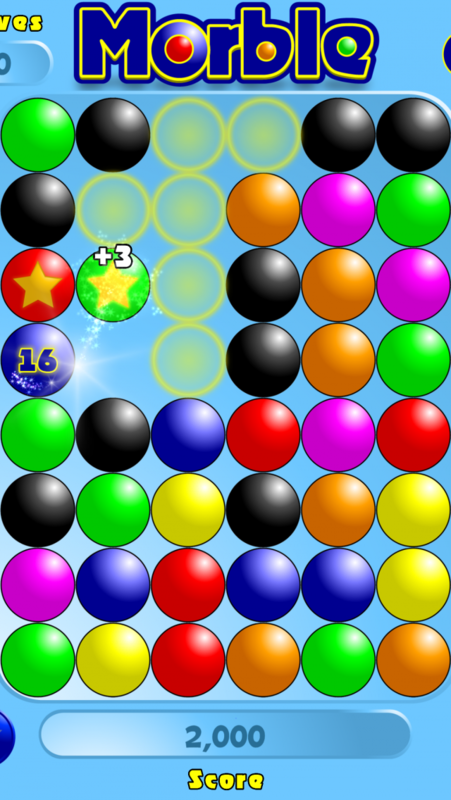 Create Magic Stars, Supernovas or build up your Magic Meter to create an explosion of magical Shooting Stars that shower down onto the game board. Magic can be found in every corner of Morble. Classic is a non-timed mode based on earning moves with matches and spending moves to tap the orbs around. 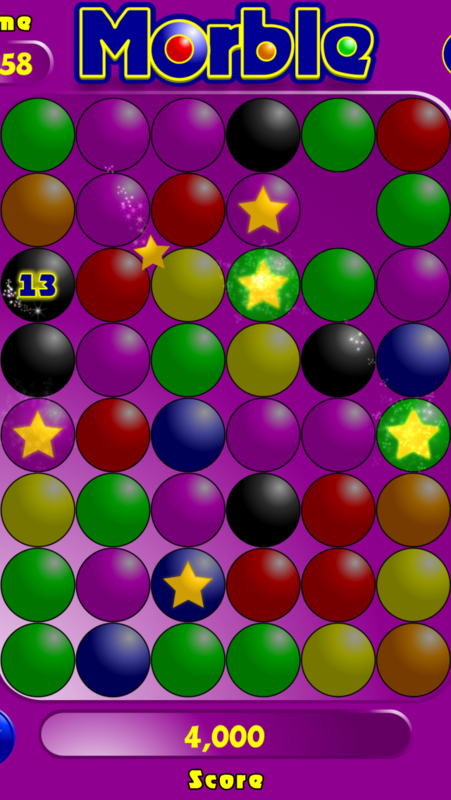 This mode allows the player to take their time and plan moves. Time Warp is a timed mode based on earning extra time with matches and going as fast as you can before the time runs out. This is fast paced for those who love being on the edge. Join online and play Push and Play games with friends or soon to be friends using the Random Challenge. 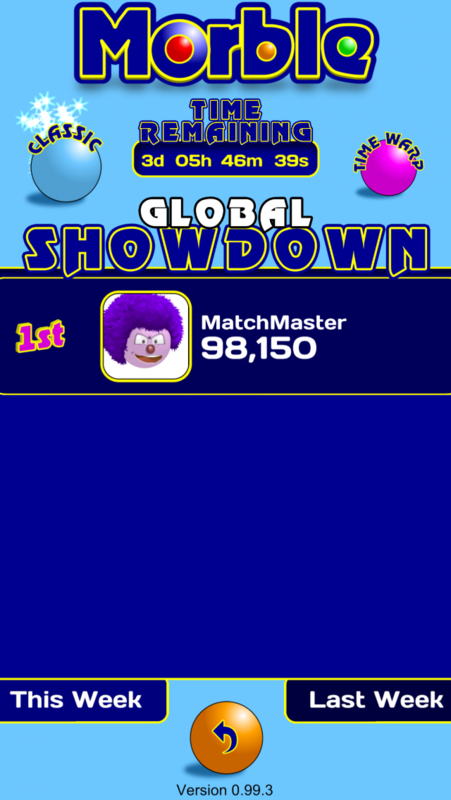 Once a part of the online community you can participate in the Global Showdown against all online players or your personal Friend Showdown which only pits you against your Morble friends. Not interested in online?! You can play Single Player or Multiplayer Pass and Play games locally with friends or family members, it's just as fun! 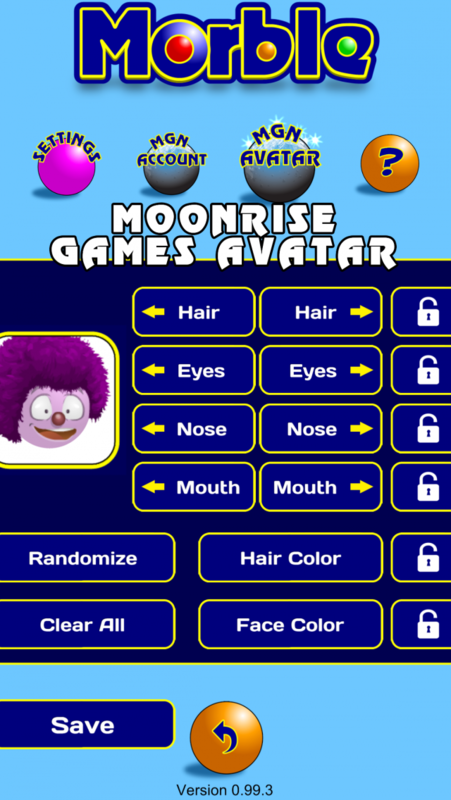 Creating fun and adventure for mobile devices!